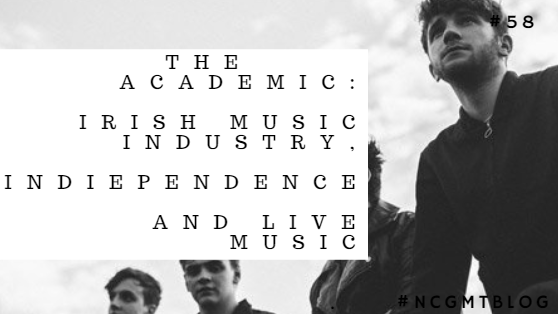 The Academic Interview: Irish music industry, Indiependence and Live Music. Unfortunately I will not be attending Indiependence this year. I had been planning to go but a couple of things fell through. No matter though, as I decided to go on the hunt for bands that were playing there, to hear from them before they played the highly anticipated festival in Mitchelstown Co Cork. I was thrilled when a member of management emailed me back, telling them they'd have the answers in a few days. Bands are always willing to accept free promotion. I particularly love promoting Irish musicians, filmmakers and artists. What is is the draw to making music for you? 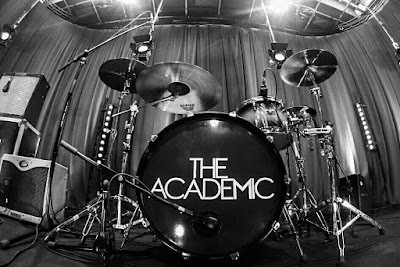 The Academic (T.A. ): We've been playing in bands and writing our own music since we were 12 or 13 so we've never really known anything else. We just want to make people dance really! T.A: We all have such varied tastes that it's always hard to say who our influences are. The band that we all love is The Strokes. Describe your sound or music? T.A: We make big sounding indie pop music. Lots of loud guitars, lots of energy, and lots of hooks. Festivals, what is their appeal to you? T.A: As a new band we love festivals! The appeal for us is trying to win over crowds that mightn't know our music. As festival punters I think the appeal is seeing as much live music as possible. T.A: We plan to release our debut EP soon so that's our priority at the moment. We want to play live as much as possible, release a few more EP's and then hopefully an album! What in your opinion is unique about the Irish music industry in the 21st century? T.A: What makes the Irish music industry so unique in the 21'st century is that everyone knows everyone! Because Ireland is so small, it means that most of the big bands from here know each other personally, which is pretty cool. There aren't many other countries in the world that can match that. Their single "Different" which I really like. What was the inspiration behind your music video for your song Different? T.A: We wanted the video to be as colourful as the song, so the cartoon idea seemed really cool to us. It also has a really retro feel with the pixelated effect which we loved. I am very good at finding ways to contact musicians and actors I admire, I usually source their PRs and managements through Twitter. This time was no exception. But I first went to Indiependence's Twitter page to source some acts playing the festival. Some I had heard before, others were completely unknown me so I decided to head to Youtube to sample some of their work. 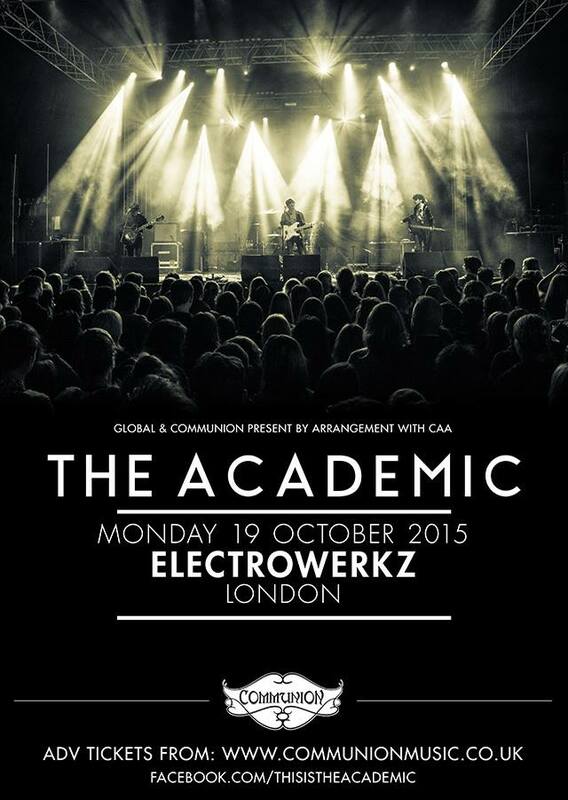 Bands I considered asking for interview were The Vincent(s) or All Tvvins, but I eventually landed on The Academic. The Academic play Indiependence on Sunday evening at 5.50pm on the Main Stage. 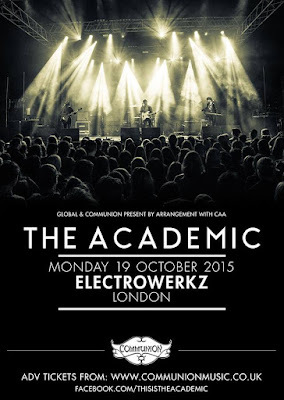 They play their first Headline show in London on October 19th at Electrowerkz. All Pre-Sale Tickets are. SOLD OUT but the last of the tickets have just gone on sale for general release via Communion Music. The Academic's Social Media Links. To keep up with tour dates check their Facebook. Buy their single "Different" on iTunes. You can find other videos of them playing music on Youtube here. Any photos used are merely decorative and are used soley to advertise the band and promote them.A huge thank you has to go to Mary, who got into contact with me to accept my offer of an interview and who also supplied me with photos and the interview itself. I really appreciate it and thank you to THE ACADEMIC themselves for agreeing to do an interview for me. It means a lot. Please follow me on Twitter, to keep up to date. 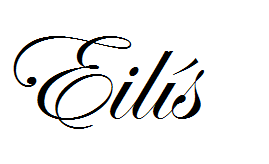 Please like my blog on Facebook to keep up to date with posts and I'd appreciate any shares!